Most think of military reenactments as recreations of battles waged many decades prior. 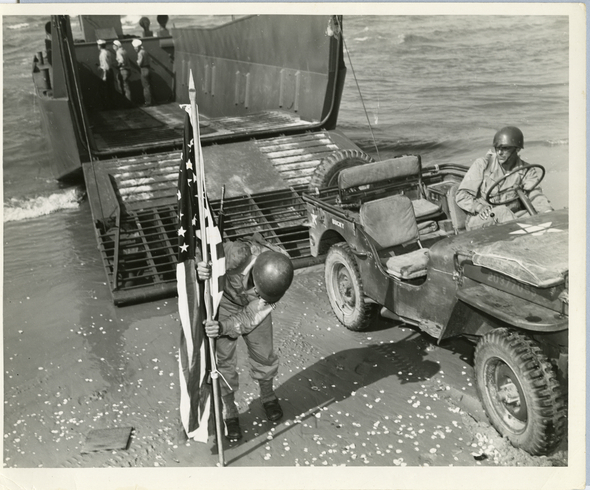 On July 22, 1944, Higgins Industries staged a reenactment of the landings on the beaches of Normandy that took place not even two months earlier. The invasion site was Lake Pontchartrain in New Orleans. 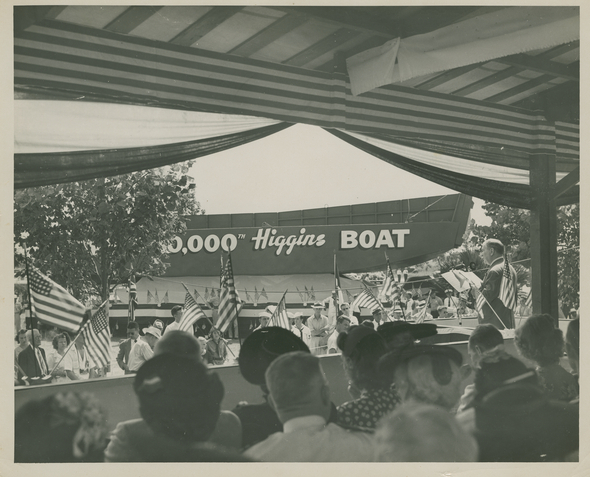 The reenactment was part of an enormous celebration that was not only precipitated by the D-Day success, but also trumpeted a personal achievement, the delivery of the 10,000th boat to the Navy by Higgins Industries. By the end of the war, Higgins Industries produced more than 20,000 vessels of various types for the war effort, although their most famous creation would be the LCVP (Landing Craft, Vehicle, Personnel), which brought American servicemen onto invasion beaches all throughout the world. Andrew Jackson Higgins, founder and leader of Higgins Industries, was acutely aware of his legacy. Along with a PR staff, he branded his firm through such measures as ensuring that employees use the official Higgins logo in publications. Not only was he a master at branding, but he was a master at throwing parties to celebrate his own and his employees’ contributions to the war effort. The enormous celebration on July 22, 1944 was the perfect example of this. 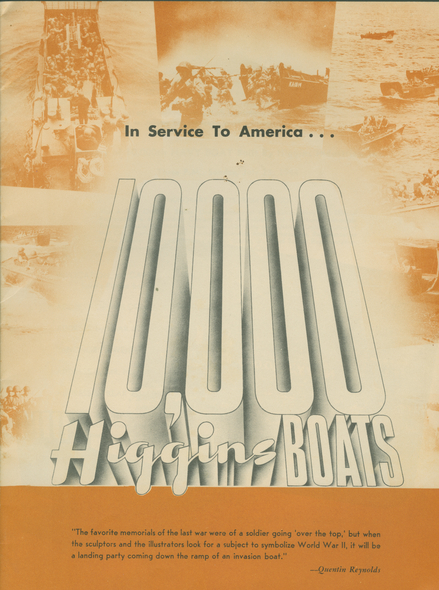 Cover of the Program for the 10,000th Boat Ceremony. Courtesy of The National WWII Museum. 10,000th Boat Ceremony, July 23, 1944. Courtesy of The National WWII Museum. 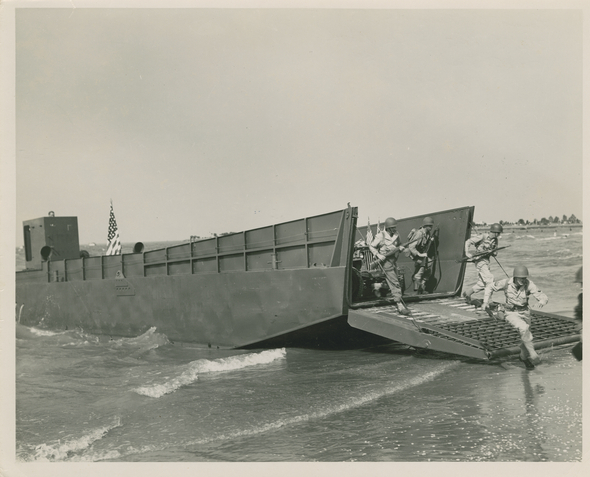 The feted 10,000th boat, an LCM (landing craft mechanized), was completed a day earlier and transported on a platform to the site of the celebration, the New Orleans Lakefront. 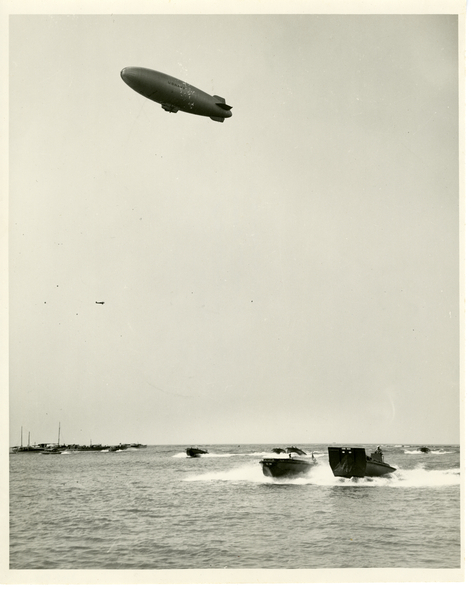 A ship anchored in the lake unloaded troops onto landing craft which invaded the seawall of Lake Pontchartrain where thousands watched the display. 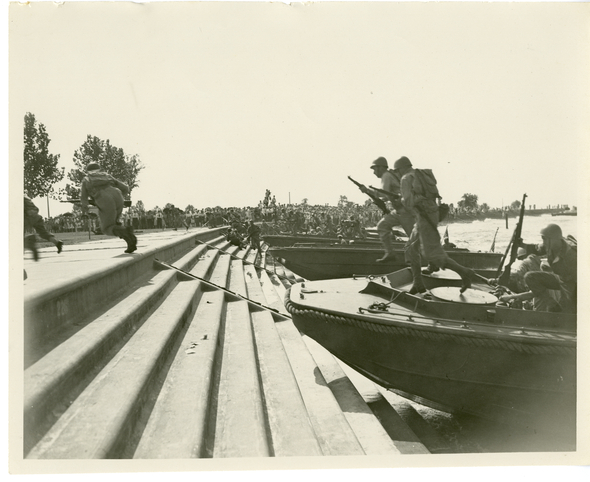 PT boats (Higgins manufactured 199 of these craft, one of which is currently being restored at the National WWII Museum) also played a role in the show by patrolling the shores, and aircraft flew in defense formation. The ceremony was attended by Bureau of Ships chief Rear Admiral E.L. Cochrane, who in his address to the crowd called Andrew Jackson Higgins "a pioneer" in the field of landing craft. He praised the work and achievements of the men and women of Higgins Industries. 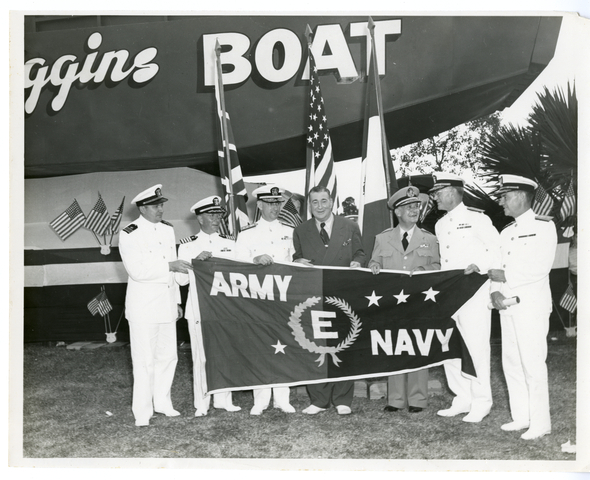 Images from 10,000th Boat Ceremony, July 23, 1944. Courtesy of The National WWII Museum.